This is the student search window of Solstar 2001. For a description of the buttons please scroll down. 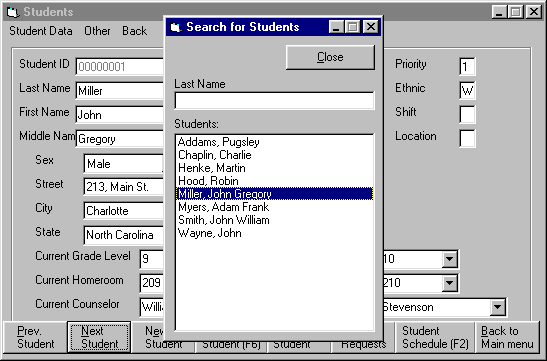 This is the search window for students in Solstar 2001. Click on "Close" to close it. When you double-click a name the data of the selected student appears in the student mask.